Seafood Pot Pies - Recipe! - Live. Love. Laugh. Food. Puff Pastry is one of those things that turns any dish from average to excellent because you know the layered buttery dough makes any meal divine. I like to think of puff pastry as a weeknight comfort food’s best friend, especially if you are craving a crispy flaky crust. 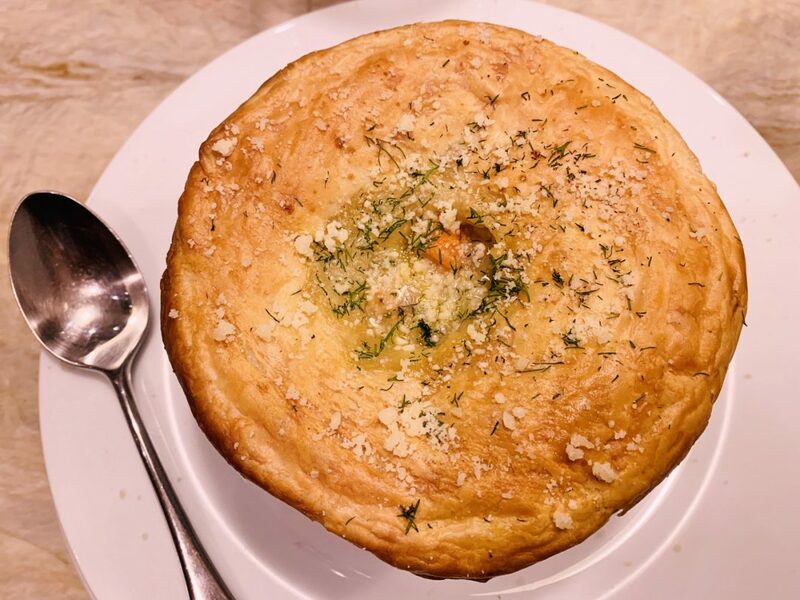 Pot Pies are a meat, seafood or vegetable filled bowl topped with a delicate crust, like puff pastry. 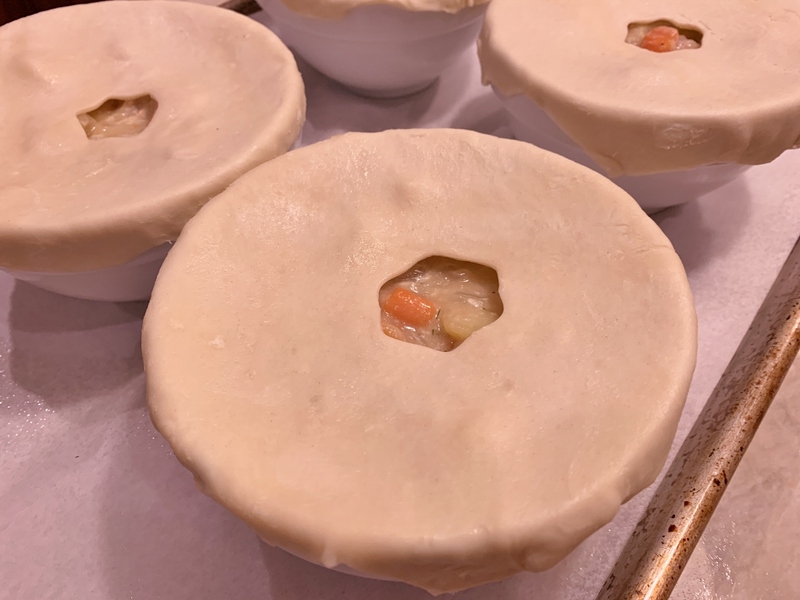 I remember the days when I worked at Marie Callendar’s, the pot pies would be the number one request during the winter months, especially when people needed a little extra something to keep warm and fill their cravings. 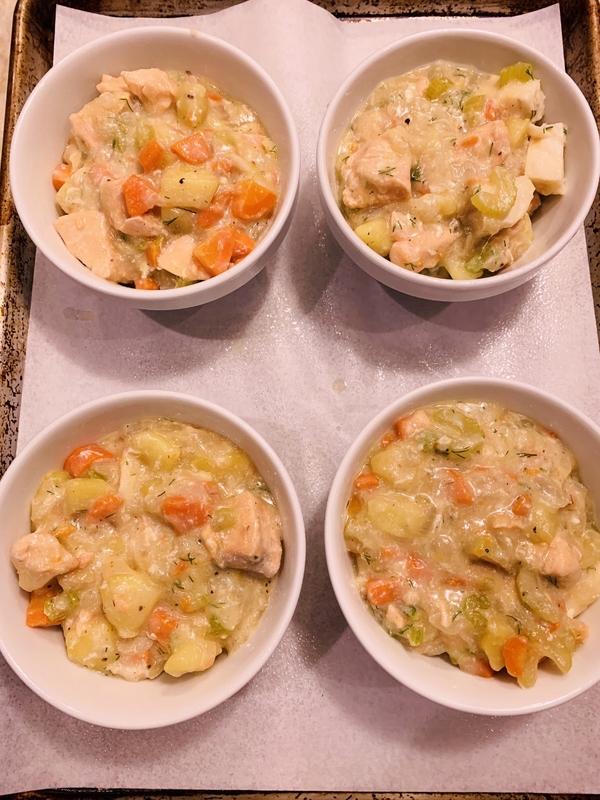 When I would bring a pot pie to a table, I remember the gleam in my customer’s eyes that soon they would be diving into such a heart-warming meal. 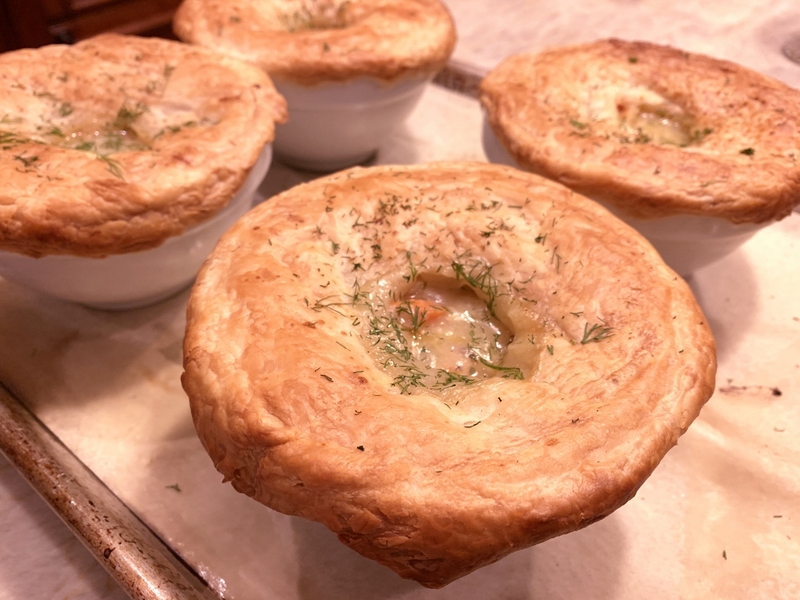 Seafood Pot Pies are a nice touch in the savory pie world, especially if you have some fish fillets sitting in your freezer. 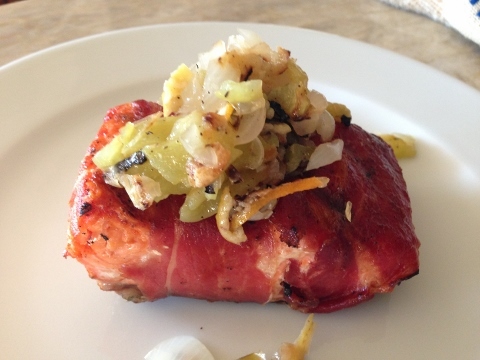 Adding chunks of salmon, cod or other hearty fish to a creamy vegetable based filling creates the most amazing dinner. Before topping each bowl with puff pastry, I prefer to fold in a little fresh dill to add an aroma that invigorates the senses – especially the palate. The browned crust acts like a piece of bread and soaks up some of the decadence with every spoonful. These pot pies are one of those things that keeps you spooning for more and make one people-pleasing weeknight meal. Preheat oven to 400 degrees. In a large saucepan, add 1 tablespoon olive oil and place over medium heat. Add onion and saute for 2 minutes. 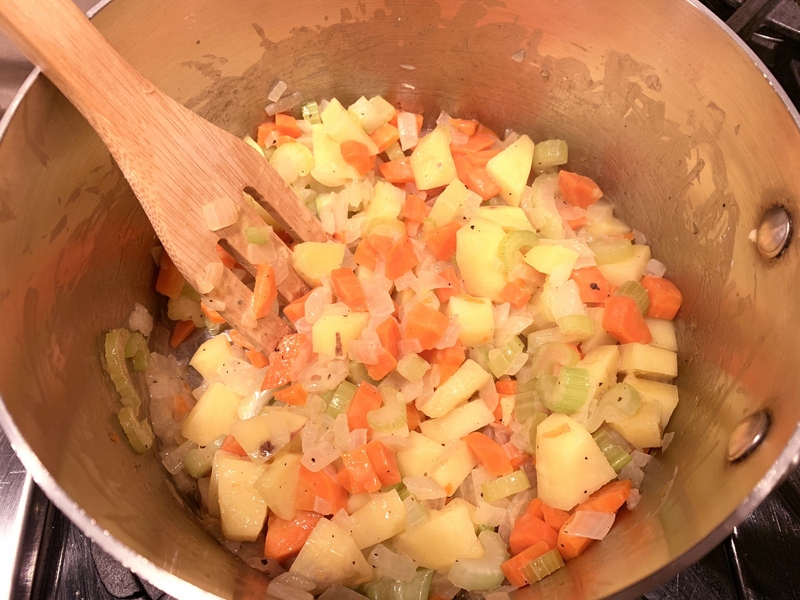 Add celery, carrots and potatoes and stir. Continue to cook for 4 minutes. Add butter and stir. 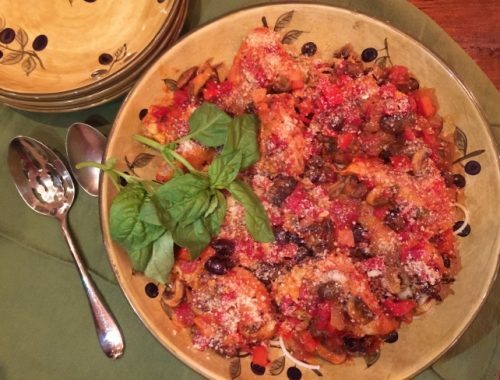 Sprinkle flour over vegetables and stir. Cook for 1 minute. Pour in broth, 1 1/2 teaspoons salt and 1/2 teaspoon pepper, stir to combine. 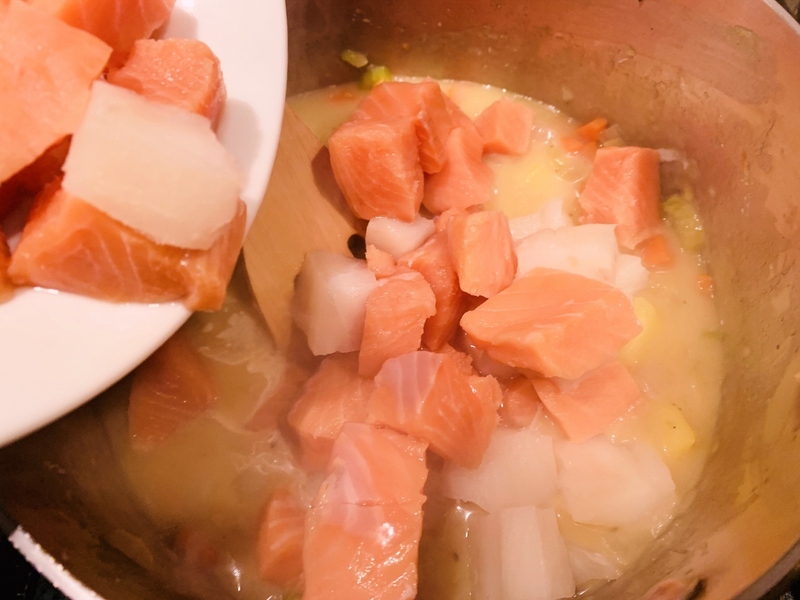 Cook for 3 minutes until thickened. Turn heat off and add seafood. Cover pan with lid and let seafood steam, while you roll out puff pastry. 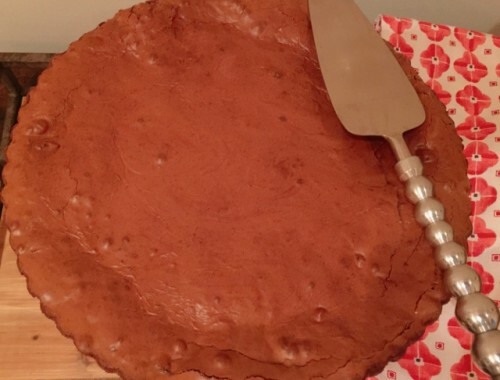 Cut 4 circles out of dough, large enough to cover tops of 2-cup oven-proof bowls. Punch small hole in center of each circle using a cutter or knife for venting. Ladle filling into each bowl. Cover with puff pastry, stretching slightly to adhere to sides. Place bowls on sheet pan and bake for 40-45 minutes or until tops are deep golden brown. Remove and let cool for 5 minutes before serving. Dust with any remaining dill. Enjoy!